Over the years I have been asked one question persistently, and understandably people need to ask it, how long does a thatched roof last for? This question is probably one of the most popular questions I have been asked! The answer to this depends on a lot of variables from material to skill. Many people also ask why you would have a thatched roof. My answer is they add soo much character to a property and look utterly stunning! They are unique, and no other type of roof has the distinctive textures and ridges as a thatched roof. Historically a thatched roof was the cheapest form of roofing, however, comparing that to the modern day thatch you will visibly be able to see a difference in the condition and finish. So back to the question at hand, how long will it last? The materials used on your thatched roof can contribute to the lifespan of it. For example, a Water Reed thatch should last from 25 to 40+ years, Combed Wheat Reed from 25 to 35 years, Longstraw thatch from 15 to 25 years and ridges need to be replaced every 10 to 15 years. The quality of the material can also contribute to the life expectancy which is why here at Heart of England we only use materials of a high quality. 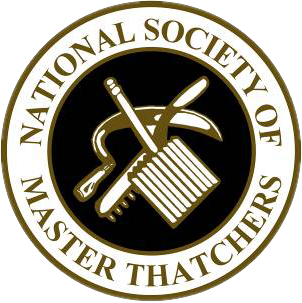 The skill of the thatcher will also contribute to how long your thatched roof will last for. Some thatchers can damage the roof if they are not familiar with the thatch or type of property. Another factor to the timescale of your roof is where your property is geographically in the UK. A thatched cottage on the coast can experience tougher weather conditions such as high winds and high humidity in the hotter months. However, a thatched cottage can experience high pollutants which also affect thatched roofs. Vermin and birds can cause damage to a thatched roof if it isn’t correctly protected. This could then cause leaks and other damage to your roof which in turn leads to fixing costs, so it is best to get your roof thatched to a high quality to avoid any additional unnecessary costs further down the line. Before we thatch any property, we carry out a full inspection whether you need a full re-thatch or a repair. We get to know the ins and outs of your property, finding any hidden gaps, etc. that might hinder our thatch. We do this to give you a high-quality thatch and ensure that your thatch roof will last longer. Although a thatched roof can have a long lifespan, there can be slight maintenance required due to the factors listed about and the natural degradation of materials over time which is inevitable. To keep your thatched roof looking great there are a few things both you can do, and roof thatchers can do. Keep an eye on your roof throughout the year (especially before and after winter) you can see where about on your roof needs repair by checking the ridge. If the ridge has metal netting (which it should, to protect it from animals), the wire mesh might seem raised up which shows that the thatch has degraded and the spars may be sticking out. If you notice lines across main roof coating and dips in the thatch also shows wear. Removing any trees and plants which cover and shelter your thatched roof will allow your roof to dry after rain and when rain does fall it will fall evenly on the roof. The better sunlight can dry your roof naturally, the less likely moss and lichen will grow. 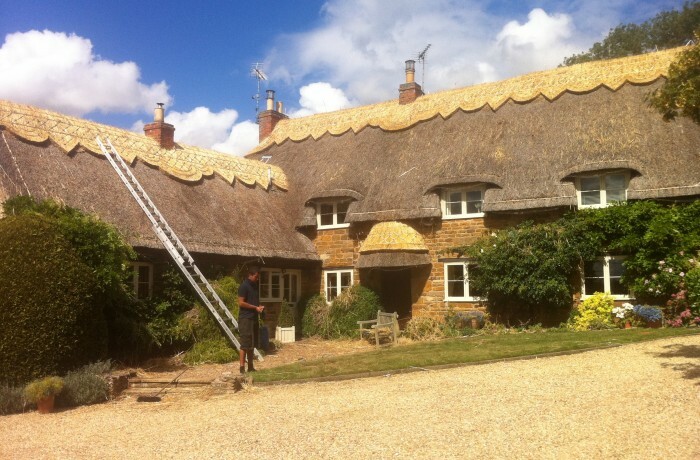 If you have any questions regarding our thatching services, whether it is a small repair, re-ridge or a complete re-thatch get in touch and we are happy to give you advice.